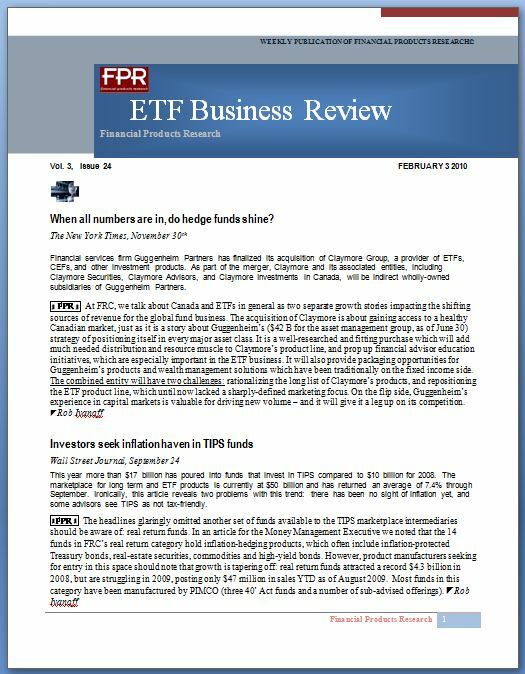 FPR publishes the ETF Business Review, America's leading authority for fund executives and modern asset managers. We provide a top-down dynamic almanac view on the opportunities and threats in the ETP and fund space. We publish 3000 pages of top-down strategic intelligence on 3 continents for our clients, yearly. On average, our subscribers have posted an asset growth of over 125% on an annual basis, since 2009. 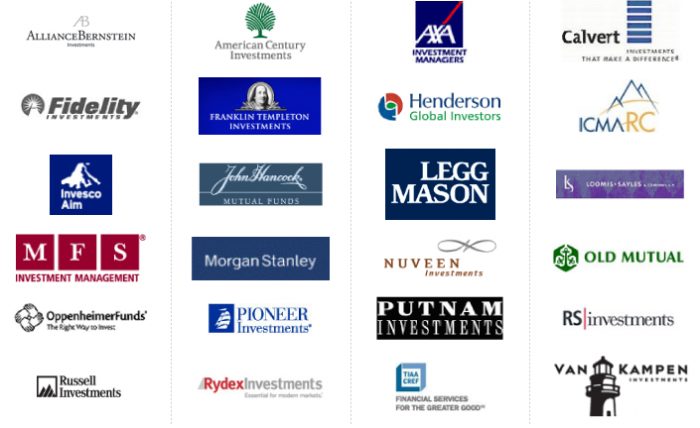 Many of our clients are Fortune 500 asset managers. FPR was founded in 2009 by Rob Ivanoff, CEO, and a group of ETF and mutual fund market research analysts. We are located in Boston, NYC and Europe. 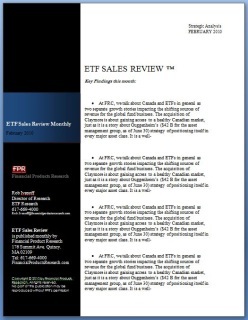 “If you need to know what is going on in the ETF world, Rob's "ETF Review" is a must read publication"
"Our team keeps the ETF Business Review top inbox for trends in the industry"
"The ETF Business Review is much better intelligence than other industry work"
THE ETF BUSINESS REVIEW - ORDER NOW AND SAVE! 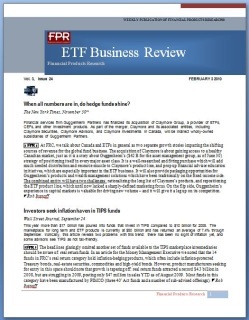 The ETF Business Review is the only strategic C-level weekly report written for fund firms. Order it now. It will save you time and get you prepared for Monday boardroom meetings. 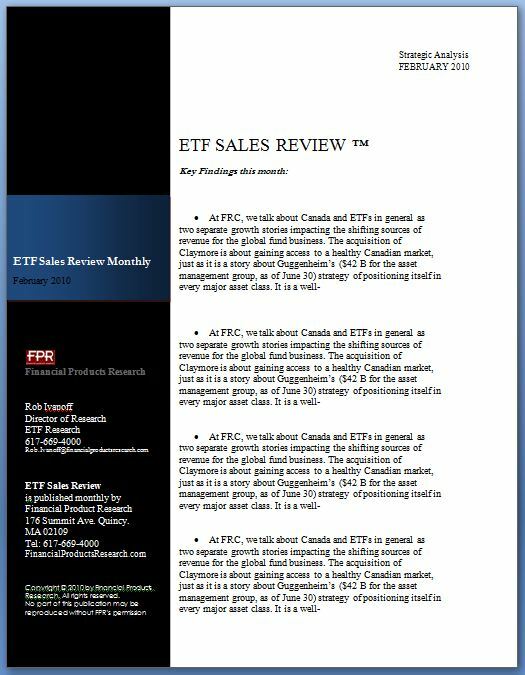 You will get a summary of all important ETF business trends with analysis by Rob Ivanoff and his analysts. Stay on top of what is selling, who is selling it, regulatory updates, distribution and marketing trends, all in order of importance, before the world wakes up - every Monday. You also get unlimited distribution, just so every member of your team can be up-to-date. Stay ahead of your competitors. Know what is selling. Learn what your largest competitors are doing.